The Microsoft Connect(); conference in New York kicked off today, revealing significant tooling improvements impacting mobile app development, containerized app dev, cross-platform mobile DevOps and serverless compute architectures. Those and more were described in an action-packed keynote headlined by Corporate Vice President Scott Guthrie. The keynote also highlighted the aggressive open source strategy at Microsoft, marked by the announcement that Microsoft is now a Linux Foundation Platinum Member. 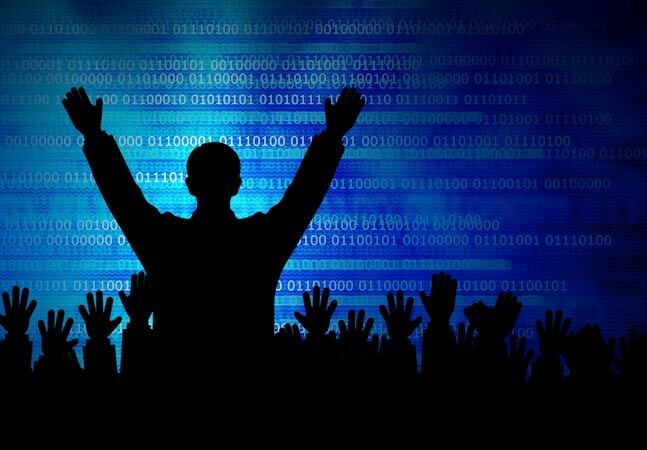 Perhaps most notable were the announcements around Microsoft's Visual Studio platform, which stand to have the most impact on the broad developer ecosystem. Microsoft at the Connect(); event announced three new products: the flagship Visual Studio 2017 IDE for Windows -- available as a release candidate -- the preview version of the new Visual Studio for Mac, and the preview of Visual Studio Mobile Center. Visual Studio 2017 offers a host of productivity and performance improvements over Visual Studio 2015. Kasey Uhlenhuth, Microsoft program manager on the .NET and Visual Studio teams at Microsoft, provided a demo of the IDE and showed how developers can use features like advanced code navigation and IntelliSense filtering to streamline activities. She also showed how live unit testing provides real-time feedback within the code editor, while Run to Click debugging eliminates the need to set temporary breakpoints when running sections of code. James Montemagno, principal program manager at Microsoft, explained how Visual Studio 2017 extends support for mobile native app development across Android, iOS and Windows devices. Support for Xamarin.Forms XAML-like UI code means developers can share both app and UI code across mobile platforms. In his demo, Montemagno showed how the Xamarin.Forms Previewer renders a live visualization of the app page as updates are made to the UI code -- a demo that drew cheers from the audience. The IDE includes a mobile test recorder to capture actions for test. These can then be uploaded to Xamarin Test Cloud where actions and code can be tested against an inventory of thousands of real devices hosted in the cloud. Microsoft touts performance improvements in the Visual Studio 2017 release, with reduced memory consumption and startup and solution load times that are two to four time quicker than in previous versions. Also announced today was Visual Studio for Mac, which melds the Visual Studio and Xamarin Studio IDEs to bring the Visual Studio developer experience to MacOS-based developers. The IDE supports mobile app development for iOS and Android, .as well as development for both .NET and Azure. The Visual Studio for Mac user interface complies with MacOS UI conventions while retaining the Visual Studio user experience. "Visual Studio has always been a deep source of inspiration for Xamarin Studio and MonoDevelop, so we didn't need to make any fundamental changes, but there were lots of little details to get right and we had to strike a balance between feeling like Visual Studio and feeling like a Mac app," says Mikayla Hutchinson, senior program manager for the Xamarin Platform at Microsoft. "Xamarin is all about providing a polished, native user experience -- it's something everyone on the team cares about, and we'll be refining it further." The new IDE is available to anyone with a Visual Studio subscription license at no extra cost, while a free Community Edition is available for download for all developers to work with. The Preview Edition of Visual Studio for Mac is available today for download from Microsoft at visualstudio.com/vs/visual-studio-mac. The third new product debuted in the Visual Studio family at Connect(); is Visual Studio Mobile Center, a DevOps tool that draws together build, test, distribution and monitoring activities for cross-platform mobile apps running on iOS and Android. Nat Friedman, corporate vice president for Mobile Developer Tools at Microsoft, described the tool as "mission control for mobile app development." Mobile Center pulls together important homegrown and acquired solutions, including HockeyApp, Xamarin Insights, Xamarin Test Cloud, Azure App Service and CodePush. 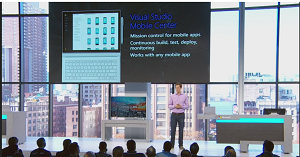 Thomas Dohmke, group program manager for Visual Studio Mobile Center and co-founder of HockeyApp, says he is particularly excited about two features in Mobile Center: Build and Tables. "With Build, developers can build iOS and Android apps with just a few clicks; so much simpler than with Visual Studio Team Services, and many customers will love that they don't need a Mac," Dohmke says. "With Tables, developers can integrate an Azure backend and enable offline sync without a single line of back-end code -- just add our SDK, define the table, and your app is ready to sync data with the cloud." Integration with GitHub simplifies the task of onboarding existing and new GitHub projects, and makes it possible to automatically run a suite of tests each time project code is committed. Developers can set rules for automatic distribution to project collaborators for preview builds, while integration of Xamarin Test Cloud enables testing across thousands of cloud-hosted physical devices. 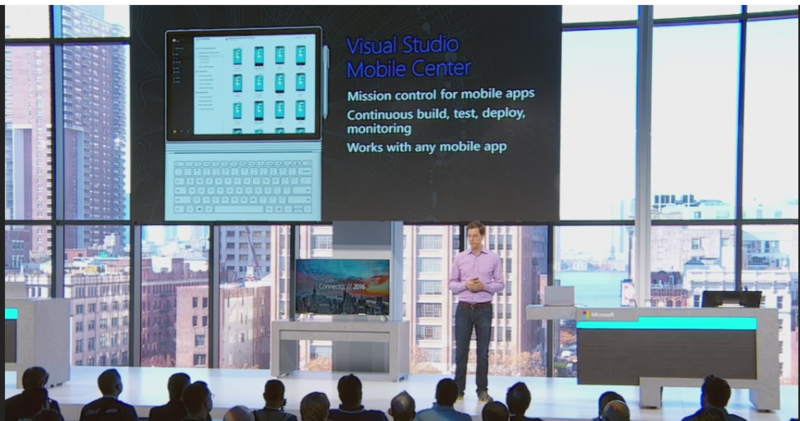 More coverage of Visual Studio Mobile Center is available here.